Pokémon Go works easily with your Android / iOS smartphone. Once the game is available for your device, you can download it for free in the store. There is a hardware device called Pokémon Go Plus, with which you can deepen the fun. This is an accessory that you can tie around your wrist (for about $ 35). That it connects easily via Bluetooth with your smartphone and get characterized vibration and luminous notes when a Pokémon is nearby and other special events occur. This raises only the question of how long the battery of your smartphone lasts. The following are the requirements for your smartphone, and also we will give you some useful information and tips and tricks for Pokémon Go. Once you start Pokémon Go, you must first create a coach. Each lot is possible: you can select the gender, the face, hairstyle and hair color and clothing. You can play the adventure game with friends. There are three different teams: red, blue and yellow, which compete against each other. - Gym: Go to a gym where you can fight against other players and earn experience points. The locations are shown on the map. - Locations of Pokémon: These are still relatively unclear. Yet we can give you these tips: addiction in places that match the types of Pokémon. This means that water Pokémon will take place on water and plant-type Pokémon in the park or in the garden. - Pokédex: Here you can see where you can encounter the Pokémon and at which locations you can find more of these types. - Strengths and weaknesses: Study each type of individual Pokémon and learn all about their strengths and weaknesses, so that you are well prepared for each battle. - Sweet Honey: This resource can continue to develop its your pocket monsters. However, sweets do not fall from the sky. Think about exactly whether you want to invest in the development of a Pokémon. - Master Ball: Look away this resource on the legendary Pokémon. This kind of advice is not new, since it also applies to all other editions. - Map: Look regularly on the map. There important locations are displayed (GPS required). - Pokéstop: Here you can find free items and should not ignore. You will know at a blue hologram of Pokeballs. 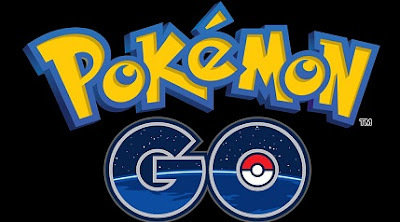 Once we have more tips and tricks for Pokémon Go, we will publish them here.